Doctor Strange And The Sorcerers Supreme has been flying under the radar, but it’s a damn good superhero comic. Doctor Strange is one of those characters that has a really cool concept but isn’t easy to make compelling, and writer Robbie Thompson has successfully crafted an intriguing story around Stephen Strange by putting him in the middle of a team of Sorcerers Supreme pulled from different points in the timeline. The cast includes a Native American possessed by the Ghost Rider, a gunslinging conjuror, a future version of Billy “Wiccan” Kaplan, and Sir Isaac Newton, who betrays his team to gain more magical power. 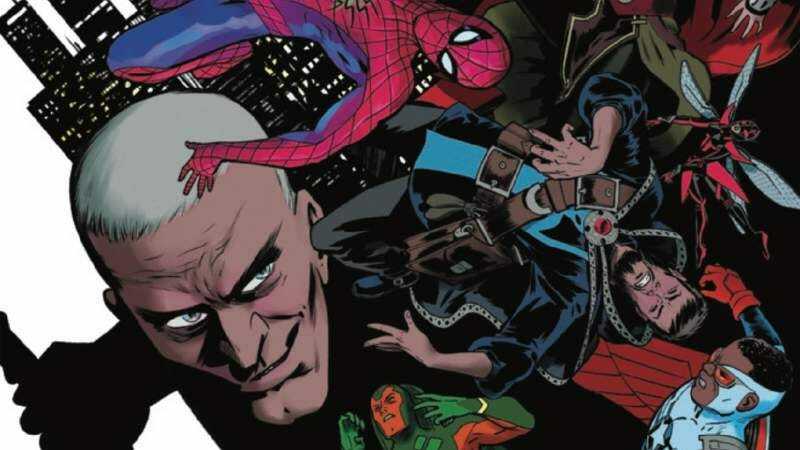 After escaping mystical imprisonment in last month’s delightful “Choose Your Own Adventure”-style issue, the Sorcerers Supreme take the fight to their former colleague, joining up with the modern-day Avengers for a superhero free-for-all in Central Park. Thompson’s story is a fun exploration of the magical corner of the Marvel Universe, but what really makes this series stand out is the artwork by penciler Javier Rodriguez, inker Álvaro López, and colorist Jordie Bellaire, who have delivered some truly spectacular psychedelic visuals on this title. Rodriguez’s layouts channel the cosmic weirdness of Doctor Strange co-creator Steve Ditko as he experiments with perspective and graphic elements, and López captures all the little details in the pencils with his crisp inking. Bellaire is one of the best colorists in the business, and she’s using this series as an opportunity to embrace wild palettes while bringing extra texture to the linework. This preview of next week’s Doctor Strange And The Sorcerers Supreme #7 features some of the book’s most traditional visuals yet, but there’s still an impressive energy behind the action. Bellaire’s colors are muted to emphasize that the team is back on Earth rather than a mystical realm, and the general grayness draws the eye to Newton and his bubble of brightly colored magical energy. Rodriguez is one of the strongest artists in Marvel’s stable right now, and this preview showcases his talent for dynamic superhero action, incorporating a large cast of characters in a busy spread that isn’t overly chaotic. The artwork on this series is phenomenal, and readers looking for visually stunning superhero comics will find a lot to love in Sorcerers Supreme.